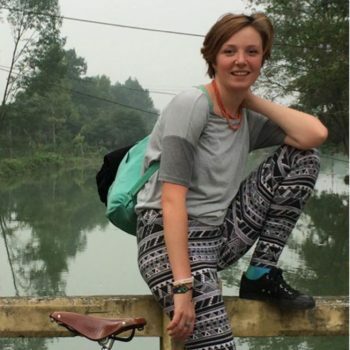 For the last three years Cali has lived in Chengdu, China working for the INGO, Mercy Corps, responding to earthquakes, designing market-based programming for smallholder farmers, and cycling to neighboring villages through the Chinese countryside. The systems that connect our global community, from countries to individuals, amaze her in their versatility and she is interested in learning how to improve their efficiency to deliver lasting change to those that need it most. She is excited to experience firsthand the influence and exchange China and Africa have exerted on each other. Cali loves to explore new cities, their local craft and food.